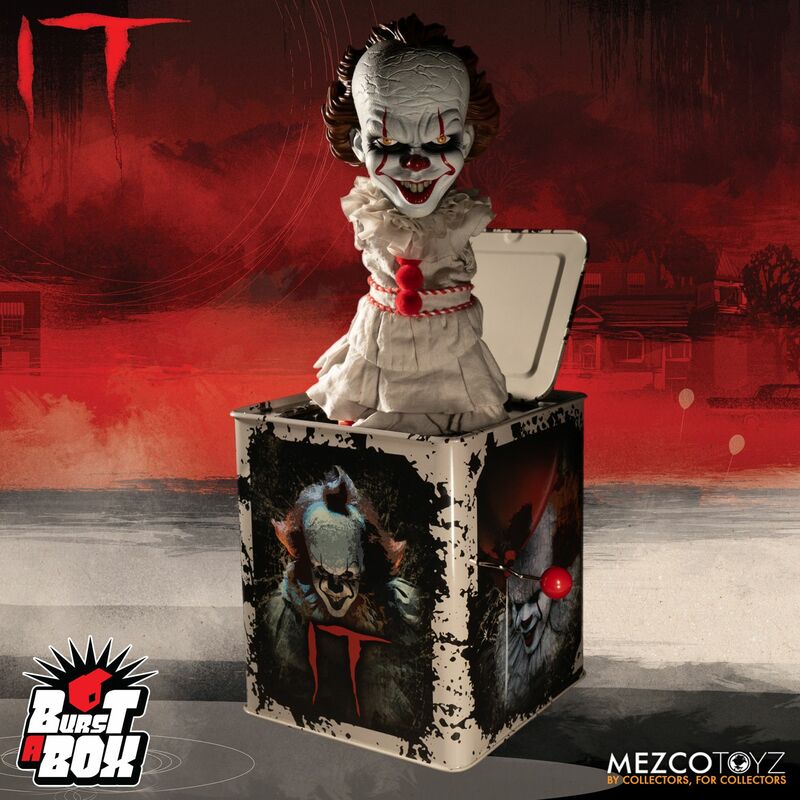 Mezco’s next Burst-A-Box – a pop culture infused twist on the jack-in-the-box – comes from 2017’s hit movie IT. Presenting the Pennywise Burst-A-Box! This fully functioning jack-in-the-box measures 14 inches when “popped” and features a detailed head sculpt and a clothed spring body, all encased in a tin music box. Pre-orders for the Pennywise Burst-A-Box are now open, the retro-styled collectible priced at $50 and scheduled to ship May – July 2019.